If you have small holes anywhere on the exterior of your home, or weak points in your home, rats can easily gain access to places like your walls, attic and basement. The best way to control rats in your home, is to keep them out in the first place. However, once they have entered it can be a challenge to remove them. At Critter Control® Miami, we’ve been dealing with rats for over two decades. Our trained technicians know exactly how to quickly and safely remove all the rats from your home. 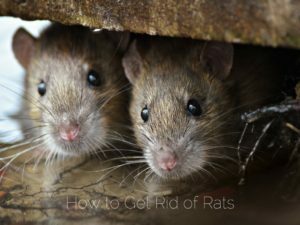 So, we have compiled a list of proven techniques to get rid of the rats that have infested your home. Locate all the entry points. Scan your home for holes that the rats used to enter your house and seal them up so you won’t have more come in while you’re getting rid of the others. Find the Infestation. If you know where most of the rats are, you can start laying traps in high traffic areas, giving the traps a better chance at succeeding. Bait the Traps- Once your traps are set in high traffic areas, you can bait them. Cheese is a common type of bait, but rats will typically eat anything, so the type of bait doesn’t matter as much. Try multiple traps. Rats are smart, and very aware of their surroundings. So one day a certain type of trap may work well, and the next it won’t work at all. You can change the type of traps you use to capture rats to keep them on their toes. Rat poison is also an option, but should never be used around young children or pets. It is important to remember that if your traps are successful, you should never handle rodents, living or dead. Always request the assistance of your local pest control experts to remove any dead rats from your home, as you could spread diseases from handling living or dead rats. For assistance with dead rat removal, rat trapping, or rat extermination, call the professionals at Critter Control® Miami. For your free consultation, call us today at 305-258-3587.